At Pest Solutions, we offer more than just hands-on pest control- our technical department is also able to provide UK-wide standard or tailored pest awareness training courses for all situations. Our courses are run regularly using our training facility at our Glasgow head office, or alternatively can be carried out on-site for your staff. While each of these courses has been specially designed to meet the unique needs of each industry, they are also extremely flexible. We will be happy to include any additional aspects relevant to your business as required to ensure that you and your staff are equipped to be pest aware at all times. Why is Pest Awareness Training So Important? If you’ve got a pest problem, then your first reaction will naturally be to call up the pest control experts to deal with the issue. 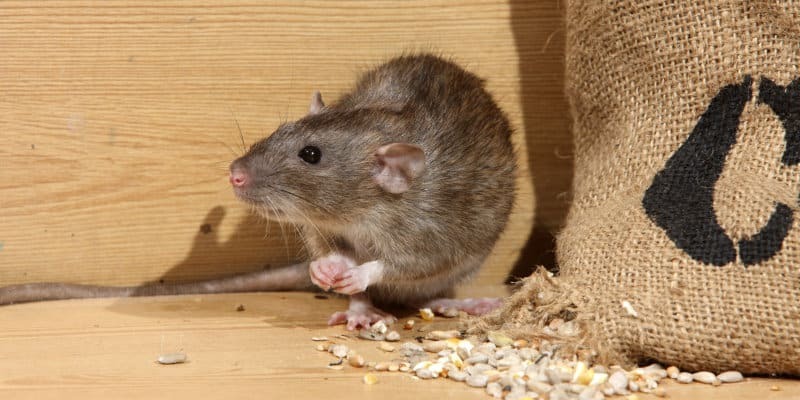 You’ll want to spot the infestation as early as possible, to minimize the impact the treatment will have on your business or home life and keep the pest control costs as low as possible. Unfortunately, though, many people only spot the problem fairly late on. They only notice the more visible signs of an infestation and therefore miss out on valuable time that could have been used to nip the pest issue in the bud. For those who know what to look for, though, it becomes much easier to prevent a pest infestation from getting out of hand. That’s why Pest Solutions are pleased to offer expert pest awareness courses, covering a wide range of different industries. Depending on the field you operate in, you may be more susceptible to certain types of pest. As well as educating your staff on general pest awareness, we therefore also focus on the most pressing problems they are likely to encounter. That way, you can be sure that any potential infestations are spotted as early as possible- and dealt with in the most efficient, effective manner possible. Thanks to our pest awareness training, those at the front line of your business will be fully equipped to detect pest issues quickly. By dealing with the issue as soon as possible, not only can we give you a better quote for our pest control services, but you also stand to save money in other ways, too. For instance, a large rat infestation could cause severe damage to your stock, or even the property itself. On the other hand, if the rat population is removed before it grows too large, then any damage will be kept to the bare minimum. What’s more, larger pest control projects might require you to close your business while the work is carried out. Smaller jobs can be completed much faster, though, which means less downtime for you. Not only do auditors, such as TESCO TFMS auditors see this Pest Awareness Training as a positive proactive safeguard, but it has now become a requirement in their audit specification. They naturally do not want to work with suppliers who may have an undetected pest problem which could cause any contamination, and so look for reassurance that this is not going to happen. If you are serious about safety and hygiene, then the choice is clear- call today to find out more about helping you and your staff become pest aware. Our highly qualified pest control technicians are always happy to help educate customers about the importance of pest awareness. With branches across the whole of the UK, we can easily come out to your premises to deliver outstanding training courses. As soon as even the slightest hint of a pest problem is detected, you can then contact us to deal with the issue before it gets out of hand. You can also rest assured that there aren’t any hidden pest problems developing behind your back- instead, our courses keep you covered in any eventuality. Phone Pest Solutions today on 0800 027 2555 to find out more about our pest awareness training, or to arrange a course for your staff. Alternatively, if you would like the training to be carried out at one of our locations, then you can get the details of your local Pest Solutions branch here.